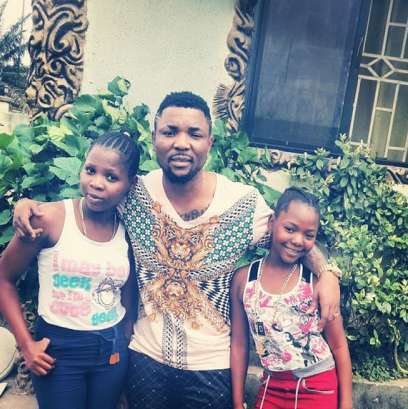 Singer Oritsefemi who has two teen daughters has publicly warned men to stay off them, especially the first one saying she might be big, but she is still a teen. “I relate with my daughters as if I am their friend instead of their father. They talk to me like their friend. If I do not make myself available to them as their friend, they might be keeping things from me. I don’t need to tell them I am their father because they know already,” Oritsefemi said. It will be recalled that he had the two girls from two girlfriends back then during his youthful days in Ajegunle.